GM is a top rated vehicle manufacturer that produces a variety of different lines of vehicles that cater to many different lifestyles and needs. 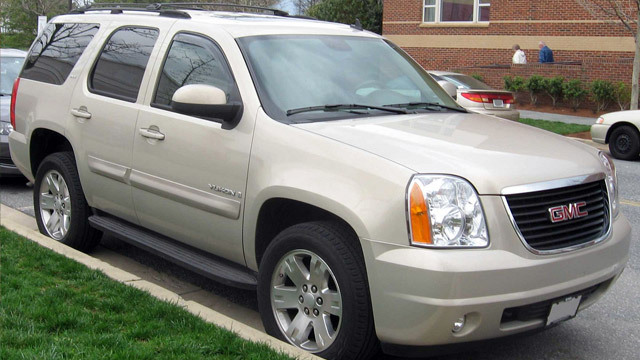 Among GM’s brands are Chevrolet, Buick, GMC, and Cadillac. All of GM’s vehicles are known for being extremely durable and top performing. In order to keep your GM working in top condition for years to come, it is important to stay on top of your vehicle’s scheduled maintenance and needed repairs. At Eagle Automotive Service in Littleton, CO, our ASE certified technicians are highly experienced and specially trained to work on all vehicle makes under GM. We can perform a wide range of services, including major and minor repairs as well as scheduled maintenance needs. Our Littleton auto repair shop has remained the trusted choice in auto repair in our area for GMC owners. If you’re experiencing an issue with your GMC, bring your vehicle into our shop at the first sign of trouble. Ignoring a small problem now can eventually turn into a larger problem later. At our Littleton auto repair shop, we have state-of-the-art diagnostic equipment and tools to properly handle and repair your GMC. We will perform a thorough inspection of your GMC and determine the exact cause of the issue. We provide free estimates and take the time to discuss which of our recommendations are necessary to keep you safe on the road. When you bring your GMC into our auto repair shop, you’ll receive high quality auto services at prices that you can afford. If your GMC is due for a service or repair, bring your vehicle to our experts at Eagle Automotive Service. We look forward to servicing your vehicle soon!